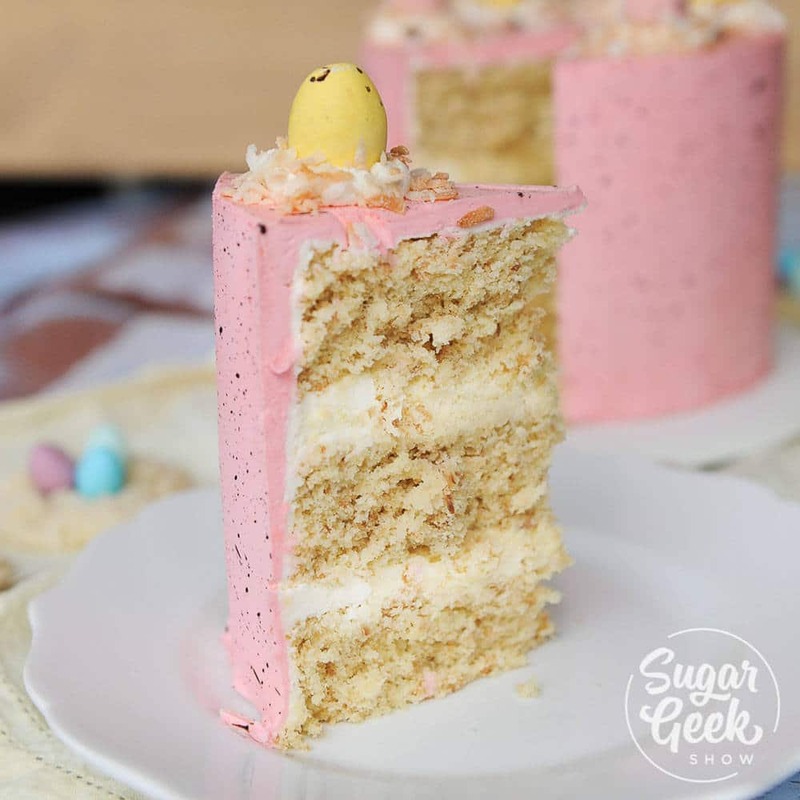 This coconut cake is full of delicious coconut flavor and is paired perfectly with creamy coconut filling and light and fluffy easy buttercream. This is the kind of coconut cake that REAL coconut lovers will flock to (me being one of them). One of the first REALLY good cakes I ever had from a bakery was a coconut cake with lemon curd filling. I thought wow, that’s a really odd combo but whatever! It’s my birthday! Bring on the cake! I loved the combination of tart lemon curd and coconut, it quickly became a favorite. Since then, my beloved bakery has stopped making this cake (*sob) so I decided to make one for myself! 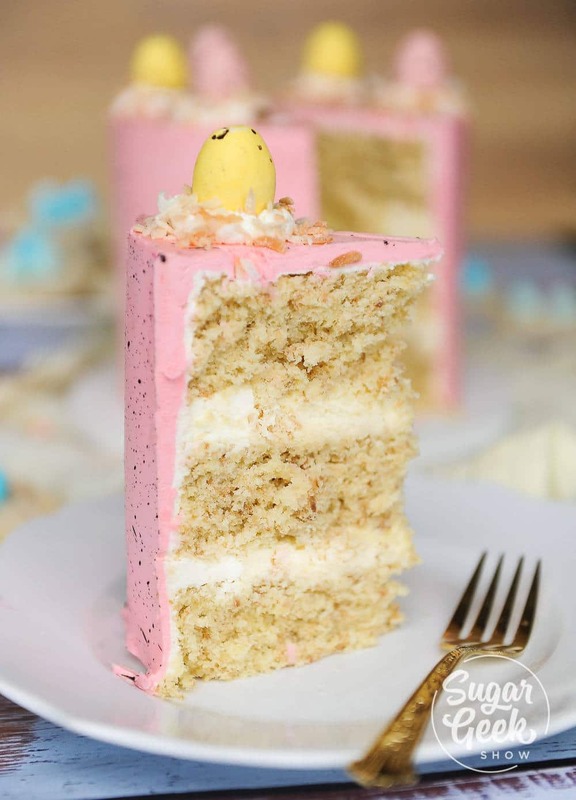 The best part is this coconut cake pairs with SO many different types of fillings. Sometimes I do lemon curd or blood orange curd, sometimes coconut cream or if I really just need my coconut cake fix, I go with straight up homemade whipped cream. Always a winner. People get really nervous about making cakes from scratch thinking that recipes are finicky. The truth is that it’s probably the way you are measuring that is your problem. For some INSANE reason (in my opinion) most American recipes are written in cups. The rest of the world goes by weight. Usually ounces or grams. Just for fun. Go measure a cup of flour and then weigh it. Now measure it again and weigh it. I bet it wasn’t the same both times right? Even trickier, is if you google how much does a cup of flour weigh, you’ll get mixed results. The only TRUE way to bake a cake from scratch is to use a scale. You can get a scale at most department stores for a few dollars. I use one made to weigh heavier batches of ingredients. Best part? Less mess. One bowl for dry, one for wet. Once you start using a scale to measure your ingredients you’ll wonder why you ever did it any other way! What makes a cake southern? Usually if it involves buttermilk, you’ve got yourself a southern recipe. Not sure why it only applies to southern recipes though. I kinda feel like every cake I’ve ever had with buttermilk was far superior to regular recipes. I might need to do a buttermilk white cake recipe comparison to my beloved vanilla cake recipe and compare. This cake get’s it’s true flavor from the toasted coconut and the acidity from the buttermilk. Coconut cake with coconut milk? 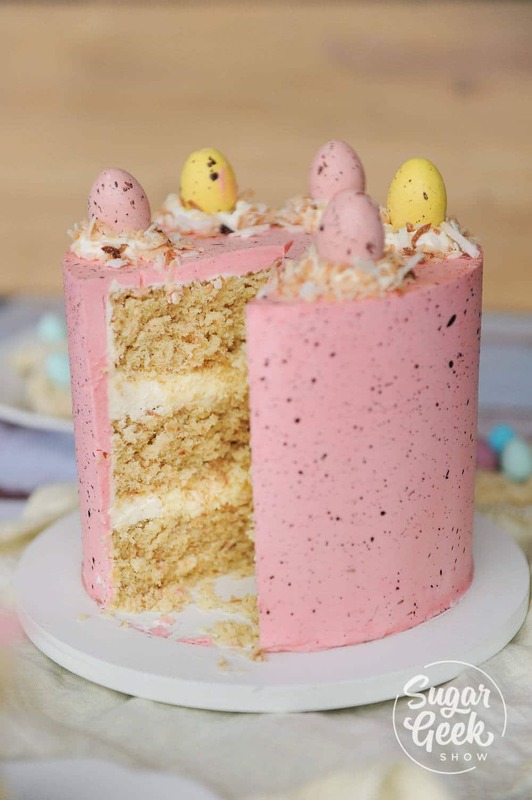 If you wanted to replace the milk in this recipe with coconut milk you totally could and I’m sure you would get even more coconut flavor packed into this cake. 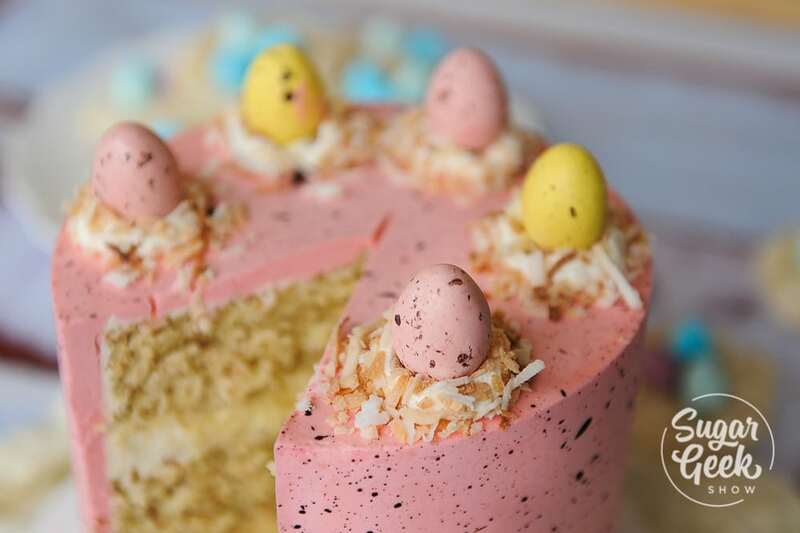 I prefer to go with a more subtle coconut flavor and contrast that with creamy fillings and buttercream. I have even considered making a chocolate coconut cake recipe for the future with toasted almonds because I have always loved Almond Joy candy bars! A good recipe for coconut cupcakes? This recipe works great for cupcakes and is very light! It makes approximately 24 cupcakes. Bake at 350 degrees for 15-18 minutes until set in the middle. It can be easy to burn these cupcakes because of the sugar content so watch them closely. If they are over-baked they can taste dry. 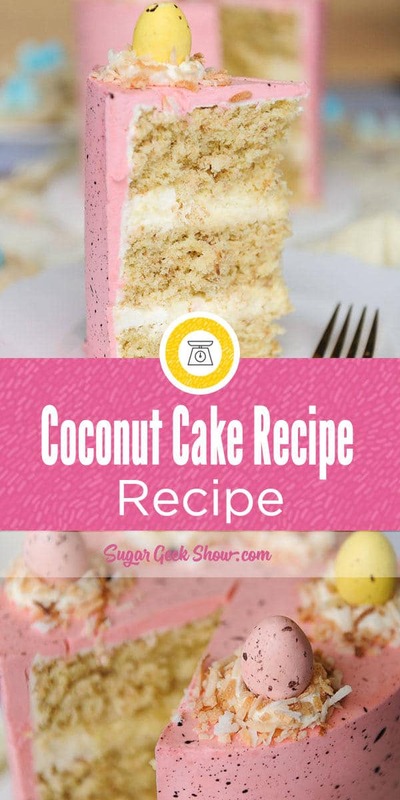 I have tried many different types of coconut cake recipes and they very greatly depending on your taste preferences. I am a cake decorator by profession so I tend to like a firmer cake because it’s better for stacking cakes but in this case, it’s all about the texture and flavor. I love this cake because it’ is SUPER light and fluffy. Like a coconut cake cloud of deliciousness. Best filling for coconut cake? 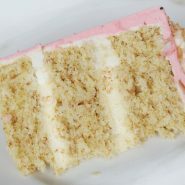 The best thing about coconut cake is that it pairs with SO many different flavors. The traditional filling for coconut cake is something light and creamy. If you’re feeling extra adventurous you can fill your coconut cake with some coconut custard which is basically like a pudding. Still need more? Watch this video on how to make coconut cake! Looking for other delicious cake recipes? Add butter to stand mixer with the paddle attachment and beat at medium-high speed until smooth and shiny, about 30 seconds. Gradually sprinkle in the sugar and add the oil, beat until mixture is fluffy and almost white, about 3-5 minutes. Add egg yolks, one at a time to the mixture, beating well after each until combined. With the mixer at the lowest speed, add about a third of the dry ingredients to the batter, followed immediately by about a third of the buttermilk, mix until ingredients are almost incorporated into the batter. Repeat the process 2 more times. When the batter appears blended, stop the mixer and scrape the sides of the bowl with a rubber spatula. Fold in the toasted coconut. Fold in your whipped egg whites gently. Watch this video on how to make the yummiest toasted coconut cake ever! Can’t wait to try this ,I’m going to do with lemon or lime curd and the coconut cream ,I’ll let you know how I get on ,thanks for sharing recipe ,it would be nice to have a chocolate and vanilla cake/ cup cake that are gluten free as I get lots of requests and am yet to find a really good recipe ! Just tried this recipe, it’s amazing!! Moist and full of flavor. I used a coconut flavored buttercream (SMBC). Definitely a go to recipe from now on. Can I replace the canola oil with vegatable oil? Can I make the coconut cake into a 13×9 if so how long do I bake for? I just tried this recipe. I made 2x 6″ and 12 cupcakes. I love the texture but the outside of cupcakes got really dark at 350 so i may have to bake them at a lower temperature. Will the coconut flavour be more intense if i substitute 2 oz of the buttermilk for cocpnut milk? Can I use regular coconut flakes instead of toasted?